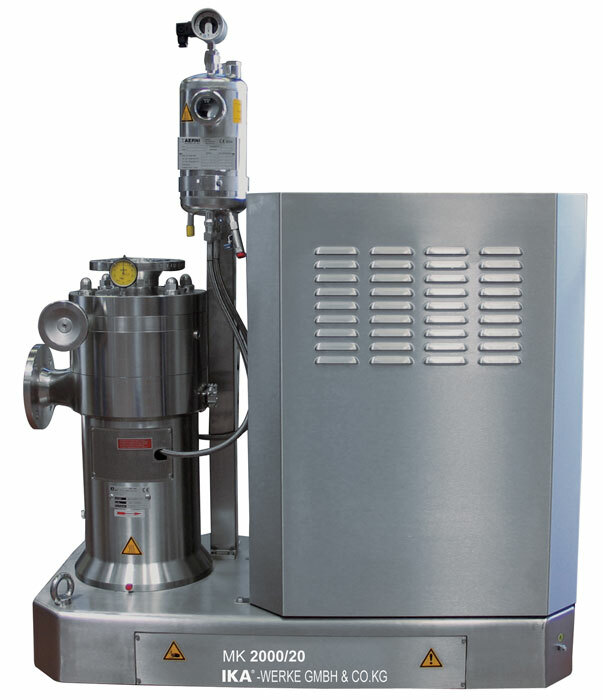 The colloid mill MK 2000 is especially designed for the production of colloidal solutions, or extremely fine emulsions and suspensions. 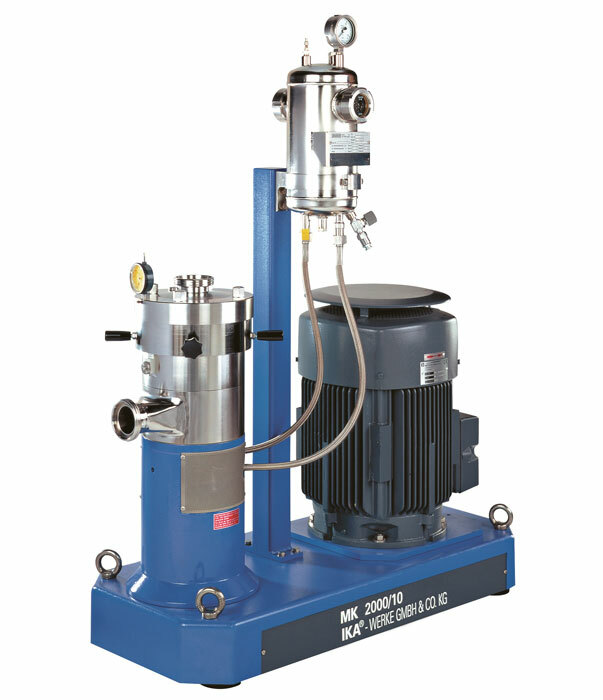 The high tip speeds, combined with an extremely small shear gap, produces intense friction on the material being processed. 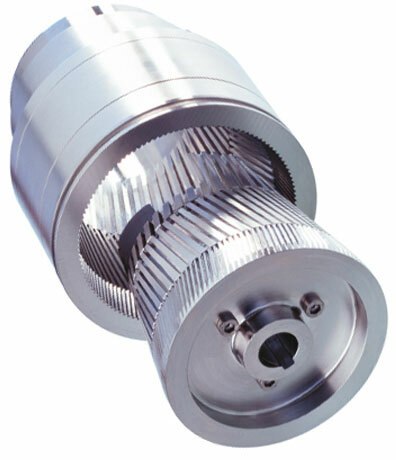 The friction and shear that result is commonly referred to as wet milling. 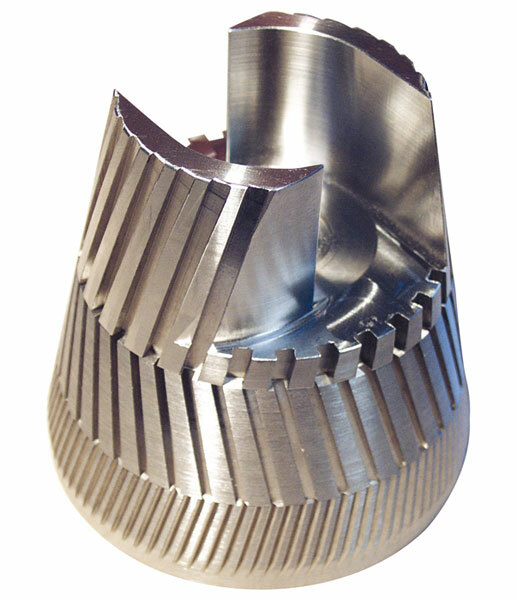 The rotor and stator are cone shaped, and have three stages of increasingly fine serrations, or grooves. The stator can be infinitely adjusted to obtain the desired gap setting between the rotor and stator. The grooves change directions in each stage for increased turbulence. With high quality finishes and materials, the MK tool offers an extremely efficient milling geometry.